Avoiding Endocrine Disrupting Chemicals (EDCs) is no longer a choice that a person can make. EDCs are found everywhere in our daily lives: from bisphenols used in certain plastic bottles, to phthalates in toys and flame retardants used in sofas. In 2017, the European Commission committed to bring out a new strategy on EDCs. Previous attempts to update the existing EU Community Strategy on EDCs from 1999 was derailed by intense industry lobby. With this statement, we are calling on EU Commission President Jean-Claude Juncker to bring out a fully-fledged strategy on hormone disruptors before the summer of 2018. 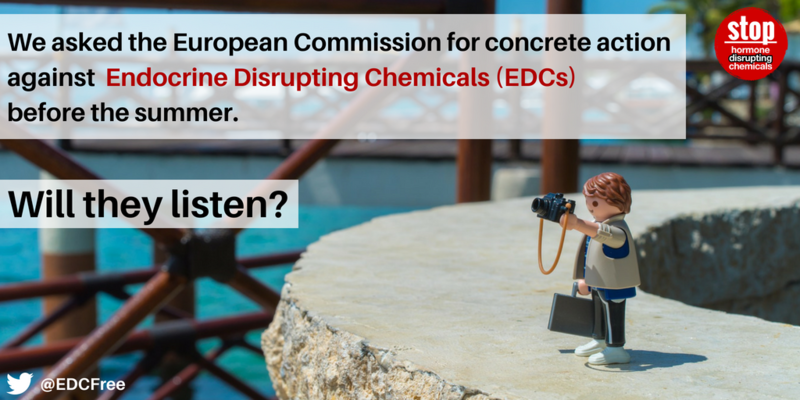 In this new campaign statement, we as the EDC-Free Europe campaign show why we are concerned and list our eight demands for an European EDC strategy, that protects people and the environment from all harm caused by hormone disruptors. 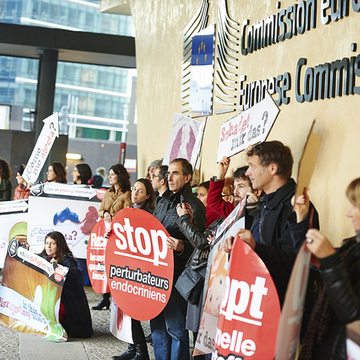 Read our demands for an European strategy on EDCs – EN – ES - DE - FR - NL.